The Samara Region is situated in the middle flow of the River Volga. Near the old Zhiguli Mountains the river makes a steep turn bending round the Samarskaya Luka – natural reserve, which is unique by its nature. The Samara Region is a forest-steppe region. The main Region natural treasures are oil and associated gas. Their exploration, production and refining long ago became major constituent of the economic potential of the Region. Other mineral resources to be found in the Samara Region subsoil part are: slate coal, silicate lime, brimstone, mineral and radon waters, common salt, building stone and some other substances and minerals having significant economic value. The Samara Region population is 3239.8 thousands (corresponding to 2,3% of the country’s citizens number); of them 80,4% live in cities. The territory gives home to people of about 100 nationalities; Russians account for 83,4% of the total population. The Region covers the territory of 53,6 thousands square km, which corresponds to 0,31% of Russian territory. Administratively-and-territorially the Samara Region is broken down into 11 cities, 24 urban-type communities and 27 rural rayons – districts (324 rural administrations and volosts). In terms of its economic potential the Samara Region occupies one of the leading places among the Russian Federation regions. As regards stability of the region, by assessment of the international rating agencies Standard & Poor’s and Moody’s, the Samara Region holds the highest rating equally with Moscow and St.-Petersburg. The gross regional product per head goes beyond the average indicator by 30-40%, and the industrial output per capita – by 50%. As per many parameters of social-and-economic development, the Region is among top five regions of Russia. The Samara Region economics sectors are represented virtually by all key branches: mining operations and processing of semi-products, production of electric power, chemistry and petroleum chemistry, metallurgy, mechanical engineering (including motor-car construction), manufacturing of bearings for machines, aircraft building and production of space ships and vehicles, light and food industries. The Samara Region accounts for 1/5 of all production of synthetic rubber in Russia, for 10% of petrochemical products, for about 23% of synthetic ammonia, for 10% of pesticides, for 5% of synthetic resins and plastic materials, and 4.6% for mineral fertilizers. Samara is the only region where yellow phosphorus is produced. The Volzhsky Automobile Plant, which manufactures “Lada” cars enjoying high demand with the public, accounts for over 75% of all cars made in Russia. Share of the foreign trade turnover in the gross regional product is 35%, while export exceeds import. In the course of 10 years the number of enterprises with foreign capital participation increased 10-fold; and foreign investments grew more than 25-fold. 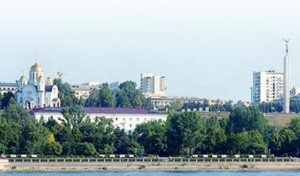 The agro-industrial complex of the Samara Region is a developed sector, which unites 500 agricultural enterprises of different ownership formats, 3,500 private farms, and over 1,000 enterprises of food and processing industries, as well as technical maintenance stations servicing agricultural machinery. The total area of agricultural land makes up 3,9 mln ha. According to international expert opinion, the Samara Region takes the 5th place among 89 regions of the Russian Federation as for human potential. The amount of consumer expenditures the Samara Region yield only to the Moscow Region. Over 30 state-run and non-governmental universities, 1,368 state-run elementary and secondary schools and Lyceums, 22 non-governmental schools of general education – all these educational institutions operate in the Region. The research-and-technical and technological potential is significant; over 60 organizations are involved in exact sciences and applied sciences, in R&D. The Region hosts over 100 theatres – state-run, municipal, private, folk and amateur. The Samara Region is a cultural center representing works of Russian and Oriental art, pieces of art executed by avant-gardism artists, sculptors, etc. Download list of the Samara Region Exporters.